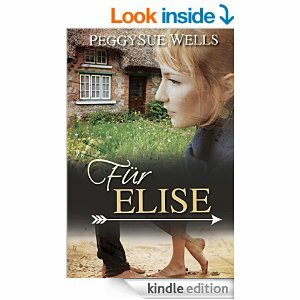 Fur Elise is the first book by PeggySue Wells that I have had the pleasure of reading. I loved the way Ms. Wells integrated a suspenseful tale of a military parajumper and a blooming romance with an accomplished musician. Her intricately detailed descriptions of the island of St. Croix made me feel as though I were there. It was easy to envision the beautiful scenery and the islanders. Michael Northington thinks he’s found a place to escape his stressful occupation. St. Croix is a place to get away from the reality that he is forced to face. A reality of behind the scenes criminal / terrorist activity and the daring heroic rescues he performs. Elise Eisler has given her life to the performing arts in St. Croix and the beautiful atmospheric concert theatre her parents built and brought to life. But finances are not cooperating and she is desperate to find a way to save the theatre. Through her beautiful paintings, Elise expresses herself and her love for her home. In a compromise to bring in revenue to help with the renovations the theatre needs, Elise places her family cottage for rent. Her renter is more than she bargained for and has drawn her into an unexpected romance. I loved Fur Elise and the wonderful, daring adventures that Michael continually finds himself in. More than once, I would promise myself “just one more chapter” and then be unable to stop reading. This is a great book and has introduced me to an author that I hope to read much more from. I will definitely look for the book!! Thank you so much for the opportunity to review Fur Elise!